Rachelle Cruz is from Hayward, California. She is the author of God's Will for Monsters, which won the 2016 Hillary Gravendyk Regional Poetry Prize (Inlandia, 2017), Self-Portrait as Rumor and Blood and co-editor with Melissa Sipin of Kuwento: Lost Things, an anthology of Philippine Myths (Carayan Press, 2015). Her work has appeared in As/Us, New California Writing 2013, LARB, Yellow Medicine Review, among others. She hosts The Blood-Jet Writing Hour. She is a recipient of the Manuel G. Flores Scholarship from PAWA. 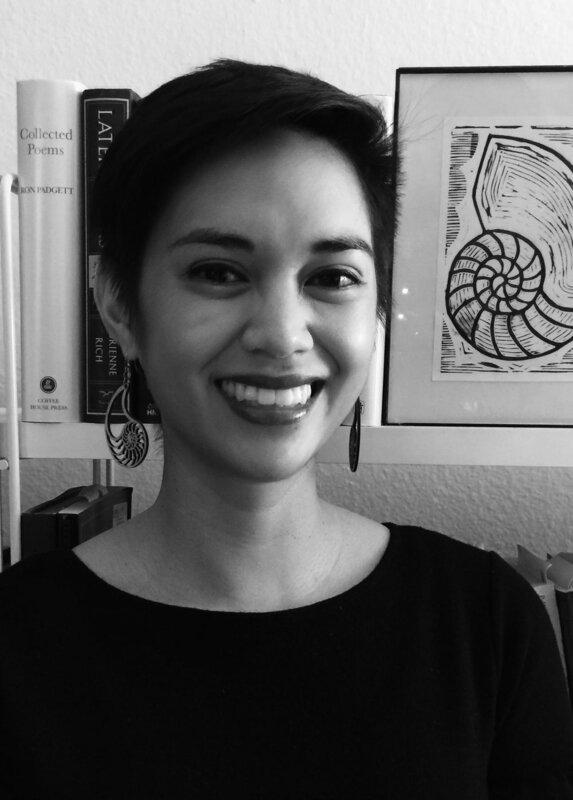 An Emerging Voices Fellow, a Kundiman Fellow and a VONA writer, she lives, writes and teaches in Southern California. The taxidermy was elegant and made of glass baubles. The Latin, “nod of the head,” the head sliced into slabs of diamond rock gold trick of ceramic and flesh. When the mountain lion interrupted the hiker’s path, it didn’t forsee its head on the mantel, its guts dangling from her hands. The collarbone’s center is the doorbell of luck I am constantly pushing. The parrot’s beak a sharp peak into each ear. At the dentist’s office, I decide to read The Way of Happiness hoping the book will whisper like an unexpected mirror. The dentist tells me the tooth has been dead for months but still contains the ability to feel. A jangle of heads knocked down on Black Friday. Pulled clean off like a mannequin’s. Posted on April 18, 2018 by Dini Karasik. Origins Journal is a sponsored project of Fractured Atlas, a non‐profit arts service organization. Contributions for the charitable purposes of Origins Journal must be made payable to “Fractured Atlas” only and are tax‐deductible to the extent permitted by law.